We talk about health and wellness a lot, but I'm actually extremely skeptical, and while I try to practice clean living, I would have my limits. That being said, women are known to make significant health changes during pregnancy, be it diet, exercise, personal care, etc. In general, I eat well, workout regularly, and make safe product purchases for our home. However, when it comes to beauty products, I get protective, and with good reason– organic/natural beauty products don’t tend to perform well! So, why are we talking about this?…. Naturally, after learning this, I made some additional improvements to the cleaning products around the house, fine tuned our grocery list, and started to dabble in more organic body wash/lotion. However, it wasn’t until I had my makeup bag stolen and was forced to replace my entire makeup collection that I finally decided to give safer beauty a try. 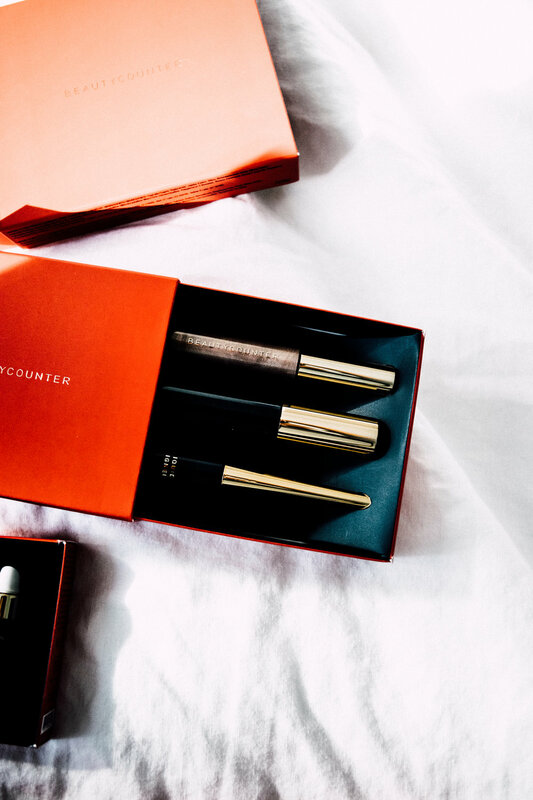 Like many of you, I’ve had friends reaching out to me about Beautycounter for over a year, and I’d kindly dodged each invitation, until one unexpected friend joined the conversation. I say she’s unexpected, because she’d be the last person to act like as saleswoman, she’s extremely logical, down to earth, and honest– no gimmicks here, what you see is what you get (I love friends like that!). 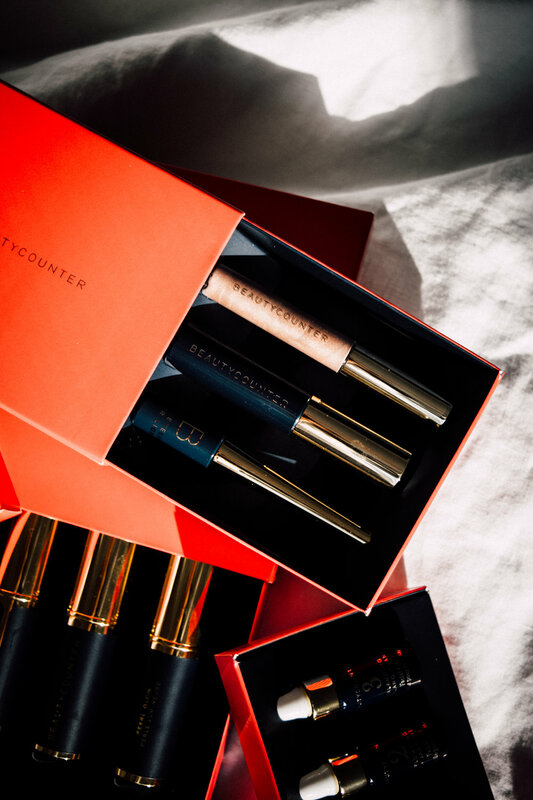 From a marketing standpoint, I’d been skeptical about Beautycounter in part due to their fear-based messaging, and I made this known. Her response? “Yes, but shouldn’t there be a little bit of fear in how comfortable we are with the chemicals we allow in our daily products?”… She had a point. The US hasn’t passed a major federal law to regulate the safety of ingredients used in personal care products since 1938. As a culture, why are we so comfortable with this? She then introduced me to the EWG (Environmental Working Group), an organization that seeks to educate consumers about toxins in home & personal care products. On the EWG site you’ll find a toxicity rating scale of 1-10. Use their Healthy Living App to search any product, and you'll get a rating with chemical breakdown and explanation. Knowledge is power, and I spent a good hour reading about every product in my makeup bag. To my surprise, the number one product I use on a daily basis, an expensive moisturizer I’d been raving about and even convinced my mother to start using, scored a 10/10 on the toxicity scale. Whether I wanted to or not, in that moment, I knew at least some things had to be replaced. 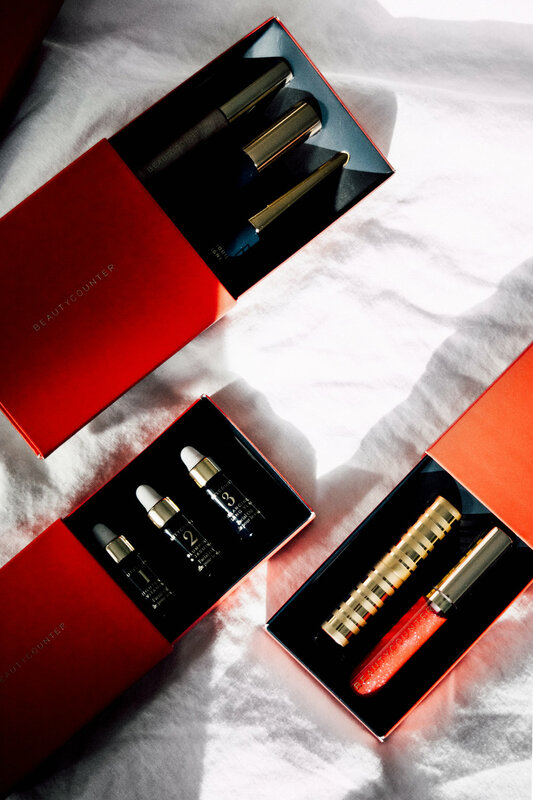 Beautycounter is committed to banning any questionable or harmful chemicals from it’s products, including a list of over 1,500 chemicals that they refuse to work with. 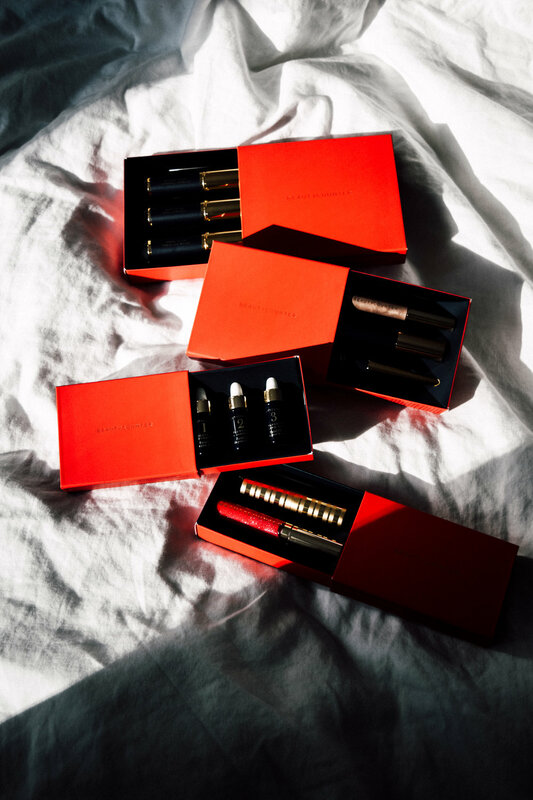 That being said, they're not some no-name homemade label, in fact, last year Chanel's very own Xavier Ormancey, made the move from Paris to Santa Monica as Beautycounter's new Head of Product Development. Nevertheless, moving away from my previous makeup routine was harder than expected, In some weird way, I felt attached to what I knew, my previous products wore well, my skin responded well, and they looked great. Therefore, being a reasonable person, I decided to begin by replacing any products that scored above a 5 on EWG’s rating scale. 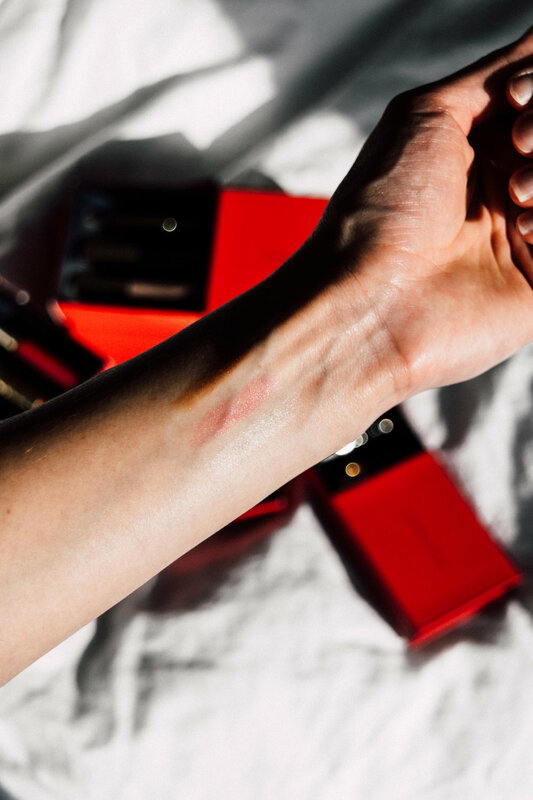 Here’s the fun part… Beautycounter’s new are here! These little sets are the perfect opportunity to test out a variety of products at a bargain, and they make for the cutest stocking stuffers! Personally, I went into this with a lot of skepticism, but after a couple months of using these products, I’m actually really impressed. In fact, while I was home for Thanksgiving, I had my mom and sisters try out some of my favorites, simply because of how good they feel on your skin! I'll admit, the contour kit isn’t nearly as pigmented as my previous collection, but the colors are beautiful and they feel so much nicer and lighter! As a personal trainer, one of the main things I look for are products that can outrun a day at the gym, and I'm happy to say that every item i've tried so far has passed the test.